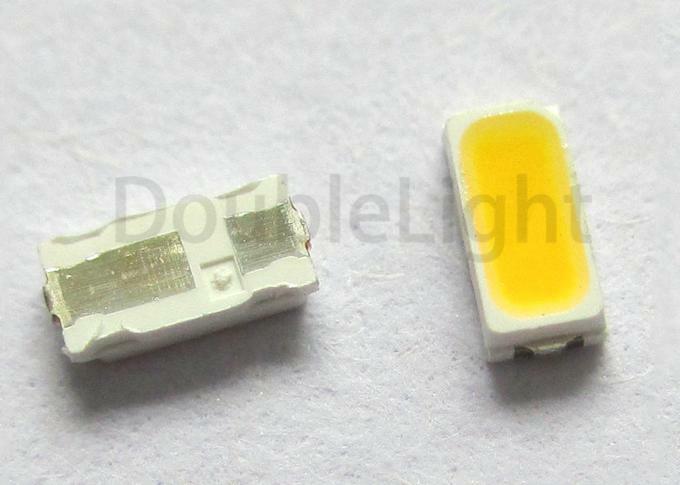 This is 0.80mm height top view white chip LED 3014, its lens color is yellow diffused and the emitting color of this size is changeable. 2. 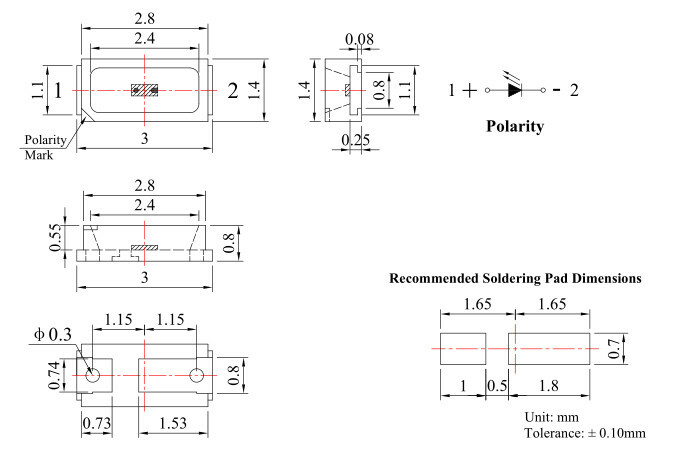 Tolerance is ± 0.10 mm (.004″) unless otherwise specified. Suitable for automatic placement equipment. Available on tape and reel (8mm Tape). The TOP 3014 series is available in soft red, orange, yellow, green, blue and white. Due to the package design, the LED has wide viewing angle and optimized light coupling by inter reflector. 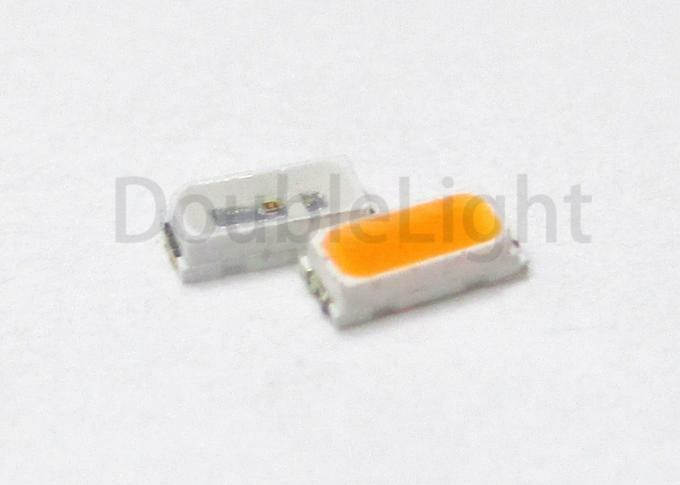 This feature makes the SMT TOP LED ideal for light pipe application. The low current requirement makes this device ideal for portable equipment or any other application where power is at a premium. Automotive: Backlighting in dashboards and switches.